Dr. Wendell Norman’s distinguished engineering career is highlighted by innovation, leadership, management, teaching and a willingness to work extraordinarily hard to reach a worthy goal. All of those qualities led to a level of expertise described by his peers as “invaluable to the nation” during a critical period in defense and space exploration. As a student, Dr. Norman, a native of Fulton, Kentucky, not only took on the challenge of engineering studies at the University of Kentucky , he also became actively involved in campus life. He was president of the Student Government Association and a member of several honorary organizations, including Pi Tau Sigma and Tau Beta Pi. Douglass Witt, a UK engineering classmate and longtime friend, said Dr. Norman’s energy in taking on leadership roles was exceptional. Simply getting to the University and remaining there as a student required more effort than most would give. After receiving a Bachelor of Science degree in mechanical engineering from UK in 1956, Dr. Norman earned a master’s degree and Ph.D. in aeronautical engineering from Purdue University. As a first lieutenant in the U. S. Air Force and an associate professor at the Air Force Academy from 1961 to 1964, Dr. Norman taught courses in aerodynamics, flight mechanics and space flight mechanics. He joined Sverdrup Technology at the Arnold Engineering Development Center (AEDC) in 1964, and moved up in rank from project engineer to assistant branch manager and branch manager of the hypervelocity branch. Dr. Norman managed research activities in seven aerodynamic testing facilities. The knowledge he gained led to new troubleshooting methods that he applied to more complex testing. It also helped enhance findings obtained from test and operational flights of Intercontinental Ballistic Missiles and space re-entry vehicles. Dr. Norman initiated new methods for the use of computers in managing resources and project information. He and his team were responsible for significant advances in testing done in anticipation of a need for highly maneuverable hypersonic vehicles. Dr. Norman was named deputy director for testing and manager of the aerodynamics projects branch at AEDC’s von Karman facility, where he supervised project engineers in planning, testing and analysis. His work included tests of scale model aircraft, missiles, advanced space systems and their components. He rose to director of the von Karman and Propulsion Wind Tunnel facilities in 1976, overseeing the work of 500 engineers and craftsmen. Three years later, he was named director of the test operations division, and from there, chief scientist at Sverdrup’s AEDC group. His extensive testing experience allowed him to resolve inconsistencies between test data and data from other sources in the Apollo Command Module and the NASA Viking Mars Re-entry Vehicle. He was named general manager and vice president of Sverdrup’s Lewis Research Center group in Cleveland in 1983, assuming total responsibility for a contract with NASA Lewis Research Center and providing technical and scientific support. Beginning in 1990, he served for almost four years as senior vice president for Sverdrup in Tullahoma, Tennessee, with oversight responsibility for contract operations in five locations with more than 1,000 employees. He was also responsible for human resources, finance and contracts administration. He maintained a strong interest in engineering education, serving 20 years as adjunct professor at the University of Tennessee Space Institute and 20 years on professional groups responsible for engineering accreditation. In addition to being named an AEDC Fellow in 2004, his honors include the Distinguished Alumni Award from Purdue University in 1978; Outstanding Aerospace Engineer in the School of Aeronautics and Astronautics at Purdue, 1999; and letter of commendation, United States Air Force Aerospace Research Pilot School. 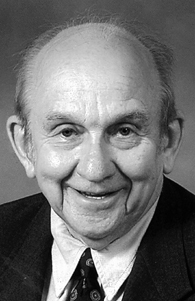 Dr. Norman authored or co-authored many technical reports and technical papers. In retirement, he has continued his lifelong interest in learning by auditing many courses at Middle Tennessee State University . He has also served as CEO of the Beesley Animal Humane Foundation and Spay-Neuter Clinic in Rutherford County, Tennessee. Dr. Norman and his wife, Kay, reside in Murfreesboro, Tennessee. He has three children with his first wife, Louise Hancock Norman: James Norman, Kate Beaty and Laura Dixon.